AC System Installation | Air Kustoms Inc. AC System Installation | Air Kustoms Inc. 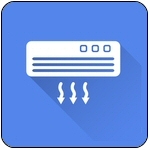 Specializing in residential and commercial air conditioner installation, Air Kustoms Inc is dedicated to keeping our clients in Stanislaus, San Joaquin, Alameda & Merced Counties cool and comfortable. No job is too big or small, and we deliver 100% customer satisfaction on every project. We offer a wide selection of air conditioner models at affordable prices, including many of today’s most popular brands. Whether you need air conditioner installation for a single residential unit or an entire office building, our highly trained and experienced contractors will provide the speedy, high-quality service you can always depend on with Air Kustoms Inc. To discuss your cooling options and needs, call us today to set up an appointment with one of our HVAC specialists. We offer free consultations with a certified comfort system specialists!